Angus-based poet Knotbrook Taylor launched his collection Beatitudes at Aberdeen Central Library during Wordfringe 2007. The launch event, hosted by Spring Tides Poetry Group, also included readings by guest poets Maureen Ross and Majella Cullinane. 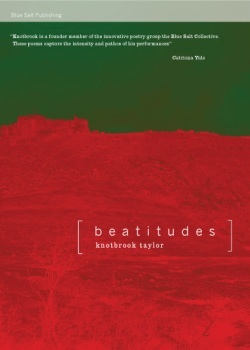 A Wordfringe favourite, Knotbrook Taylor enjoyed a warm reception at the launch of his latest poetry collection Beatitudes. He was joined by poets Maureen Ross and Majella Cullinane in what proved to be a fine evening of evocative, innovative poetry. Angus-based poet Knotbrook Taylor has been widely published in various Scottish literary magazines and won the Ottakars and Faber Annual Poetry Prize for Aberdeen in 2001. 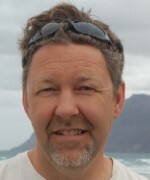 He is also with the Blue Salt Collective, who will be performing at Woodend Barn on 16 May during Wordfringe.